There are 25000 free Coca-Cola Zero Sugar 1.75L bottles to be claimed. Offer available on online orders containing Coca-Cola Zero Sugar 1.75L for delivery between 26/04/17 and 16/05/17 or until 25000 Coca-Cola Zero Sugar 1.75L have been redeemed, whichever occurs sooner. Online minimum order and delivery charges apply. Voucher codes not valid in conjunction with any other free offer on this product or money off coupon codes. 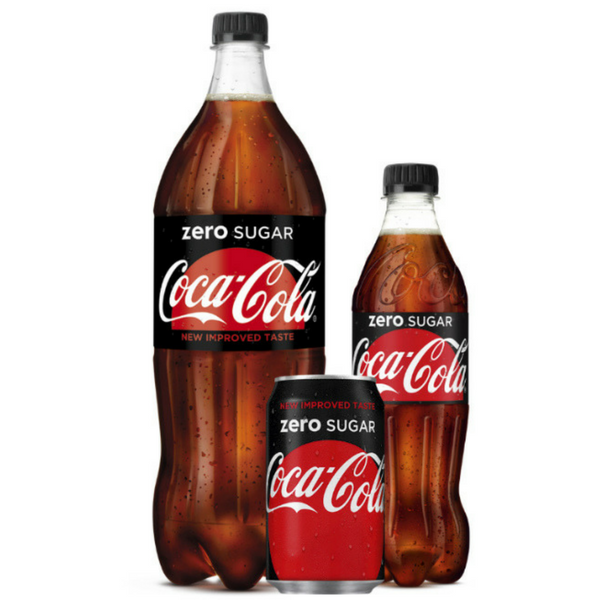 One free Coca-Cola Zero Sugar 1.75L per household. Offer available on Sainsbury’s groceries online only, not available in store. The Promoter is Coca-Cola European Partner, Pemberton House, Bakers Road, Uxbridge.